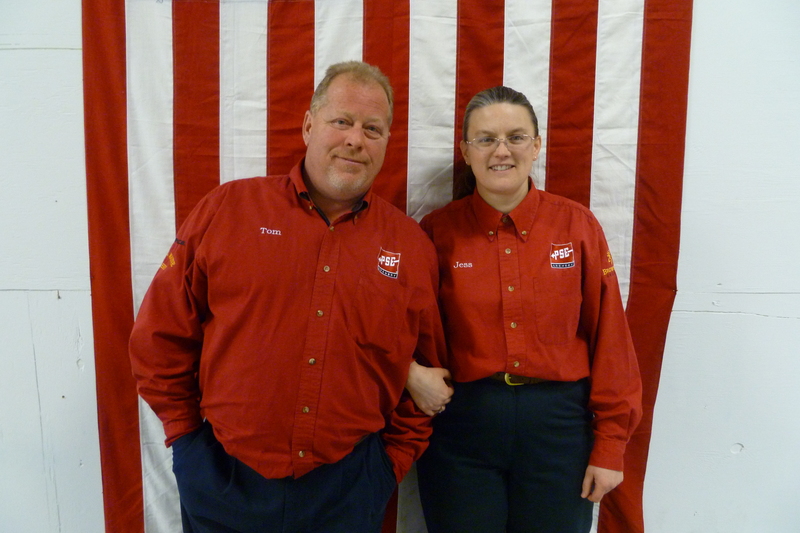 I wanted to give a big shout out and a word of thanks to Tom and Jess Hartford for hosting the Maine State Indoor Championship this past weekend at their facility, Central Maine Archery. There was a lot of work to do and Tom and Jess stepped to the challenge. 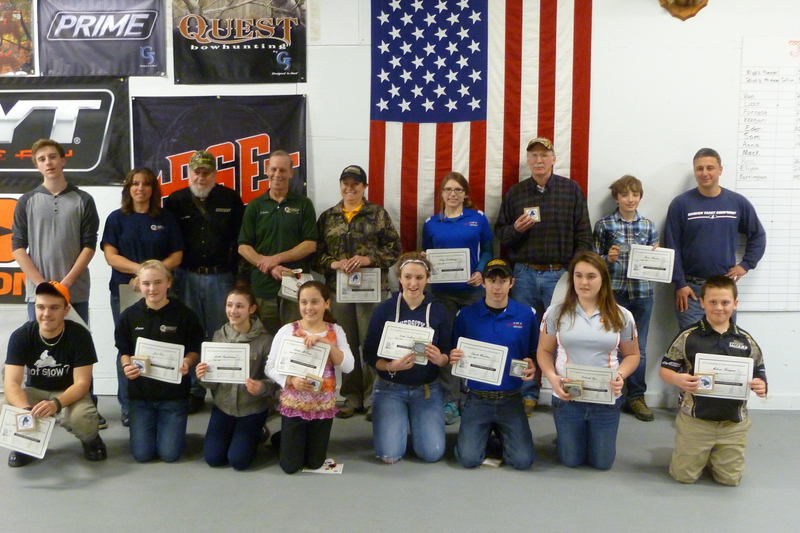 They in turn were helped by many volunteers from the archery community and of course by the driving force behind it all, the Maine Archery Association. Thanks to all for making it such a success! 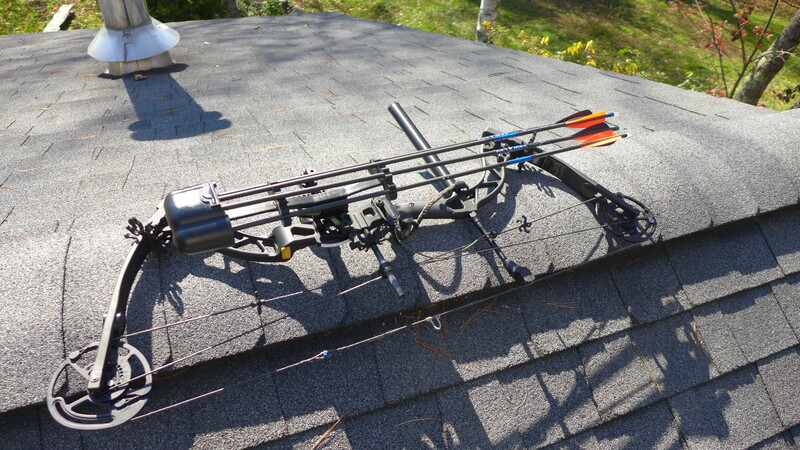 I should also mention that Tom and Jess raffled of a new PSE compound bow and a year’s worth of free range time for a whole family. Nice. 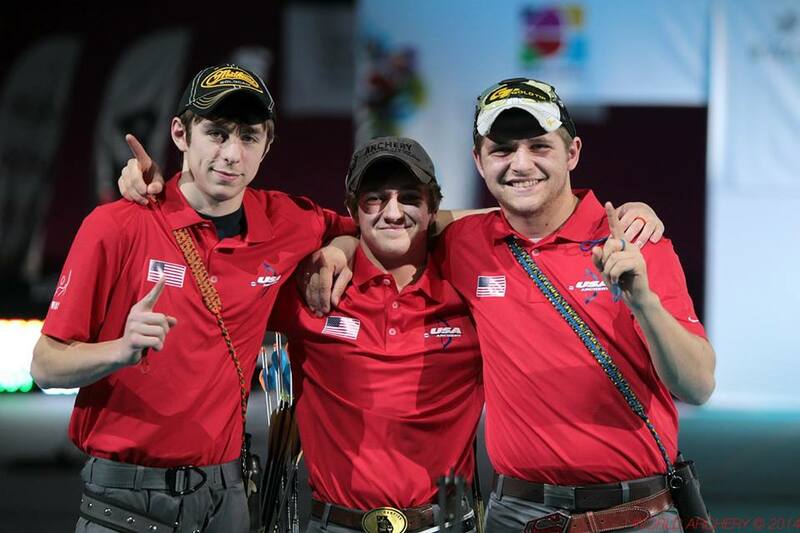 There were shooting times Friday, Saturday and Sunday with the last shooters wrapping up on Sunday afternoon. There were some very exciting moments were I got to be a spectator and watch some outstanding archers compete head to head during tie break shoot outs for their class and some positively nail biting competition during the Triple Crown Finale. I found myself really enjoying being a spectator during these events. Jon Thompson and Levi Cyr battle for 1st place. Callie Gallant and George Tarr during the shootout for the Triple Crown. 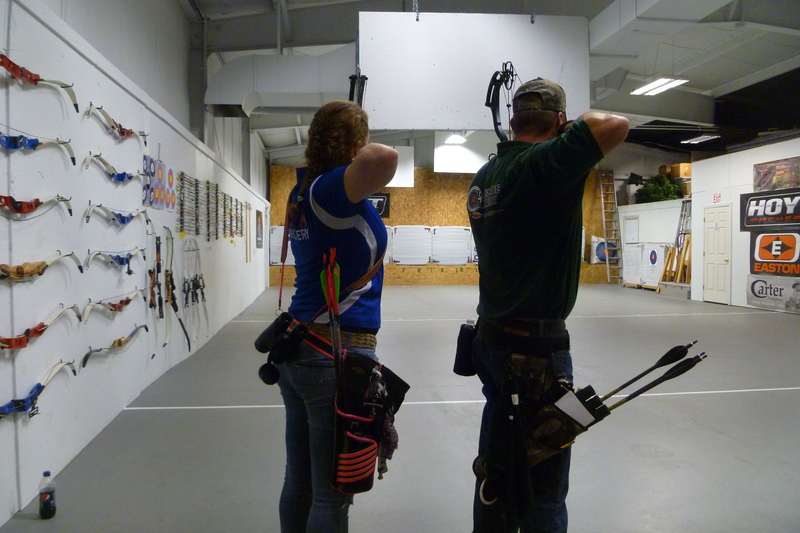 Callie Gallant and Joe Wilkin shoot for 1st and 2nd place with Callie taking a nailbiting 1st. Callie took first for the Triple Crown which was a money shoot earning herself some loot and bragging rights. I have to mention though that Joe Wilkin shot an outstanding round for the Triple Crown and also shot the State championship despite being on crutches and having to hobble around – that’s dedication! 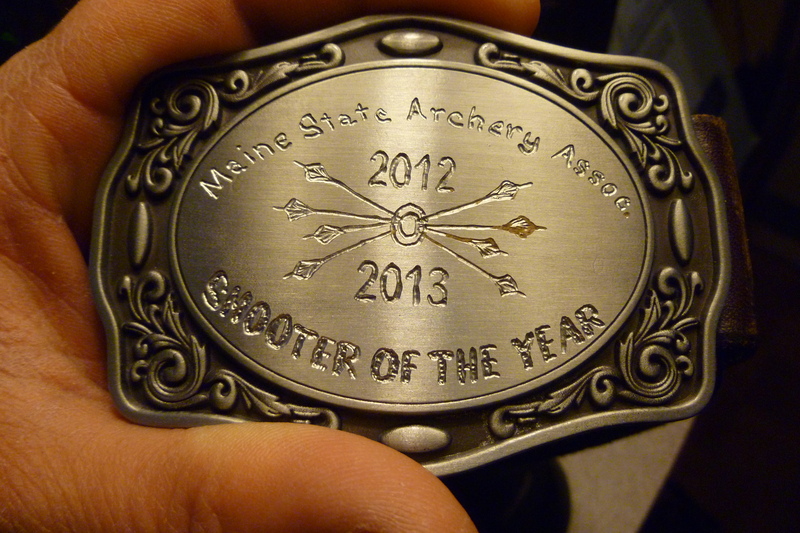 As for me, I ended as Shooter of the Year in the barebow class which wasn’t terribly difficult seeing as I was the sole archer shooting the class and I came in first in the State Championship for barebow. I was far from my best though. 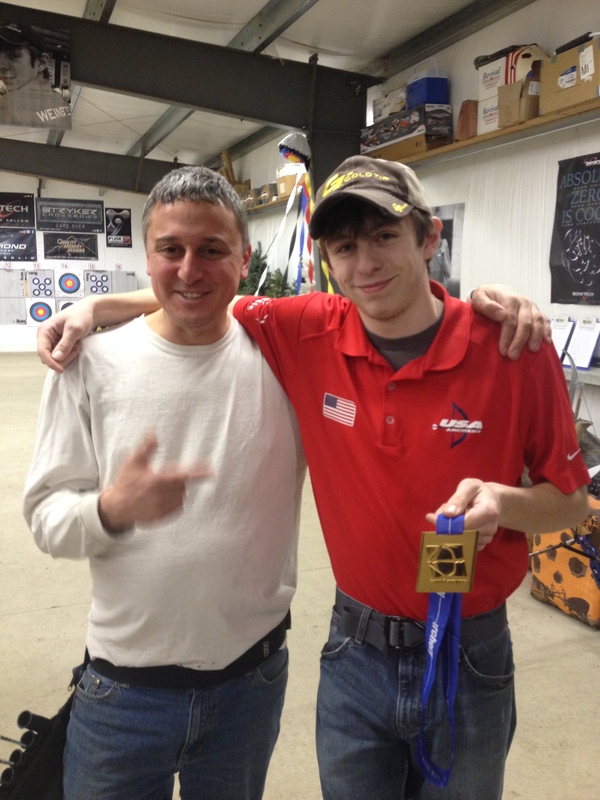 Kudos to fellow barebow archer Dave Toner who took 2nd. Nice to have company. 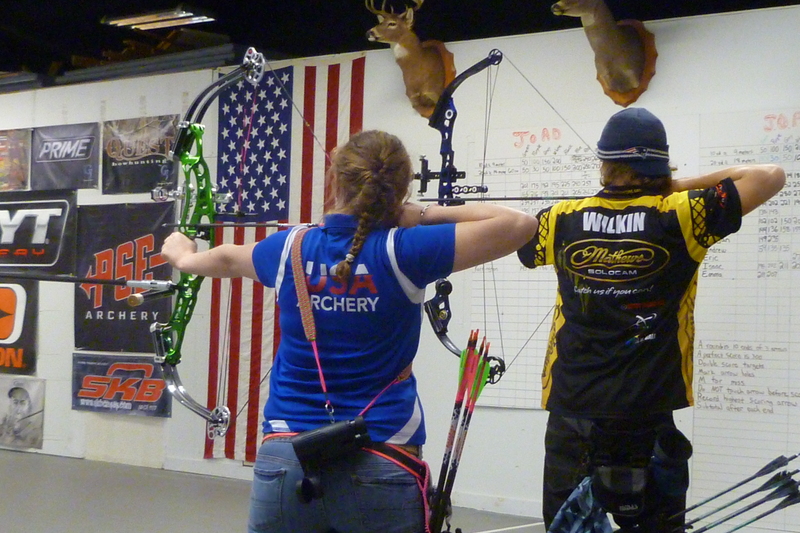 Next shoot is this Sunday at Lakeside Archery for the Traditional Classic, hope to see you there. My town has an annual event called the Ice and Smelt Festival, there are many events and contests some of which include the Parade of Smelts, a best beard competition, bonfire and luminaries. 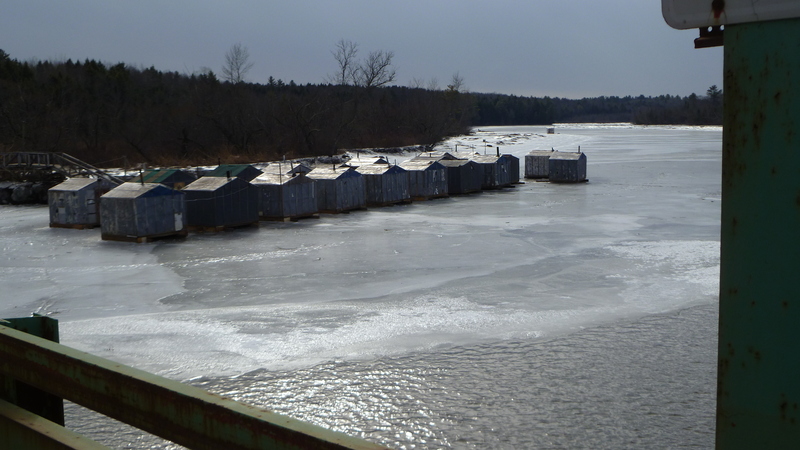 The smelt festival is derived from the tradition of ice fishing in shacks on the Cathance river and Merrymeeting bay that are popular in our town. 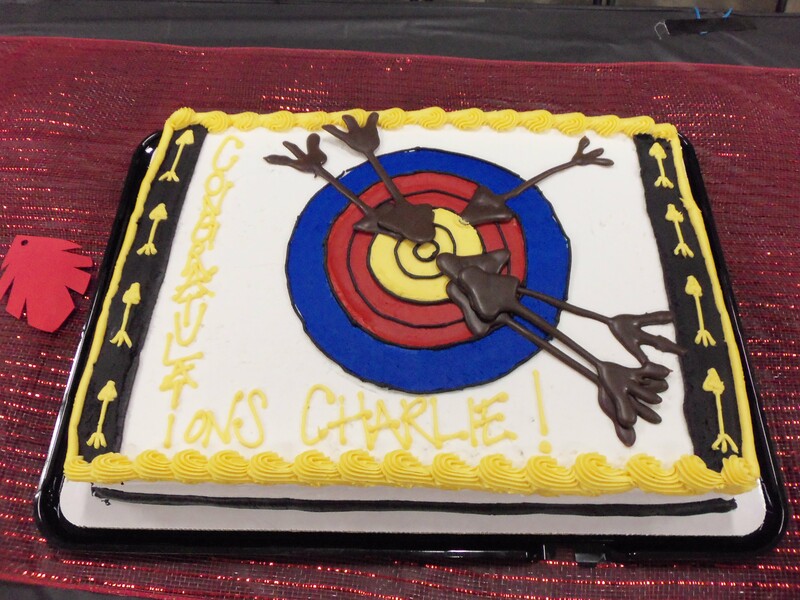 There is also an archery event, which is organized by long time archer Carol Dyer. 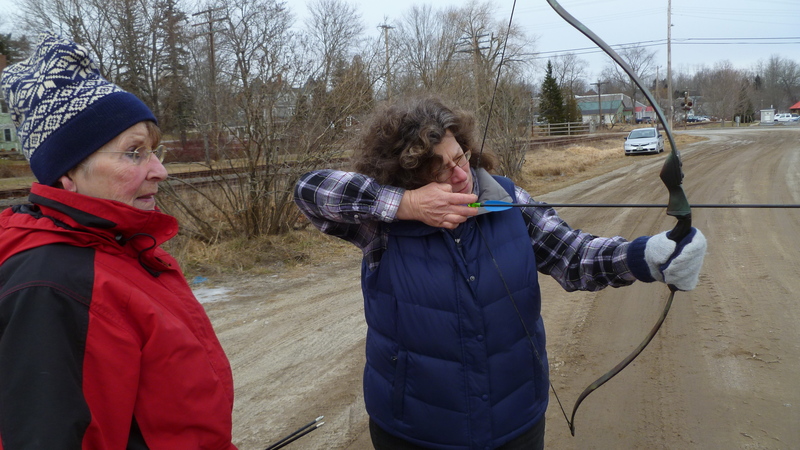 Carol is an active member of Maine Traditional Archers and was generous in giving some of her time to organize and help many kids and adults alike give archery a go despite the cold, cold temps on Saturday. Chris Edwards gives his son Caleb a hand. Caleb reigns triumphant over the festival smelt. 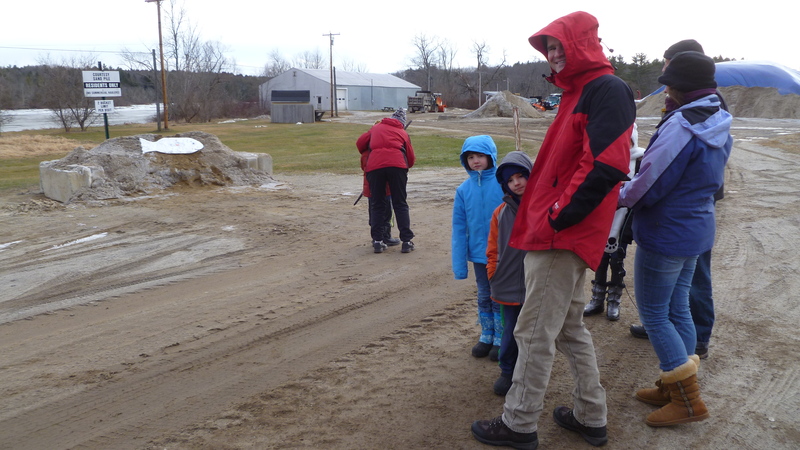 Many families and kids lined up to give archery a try. 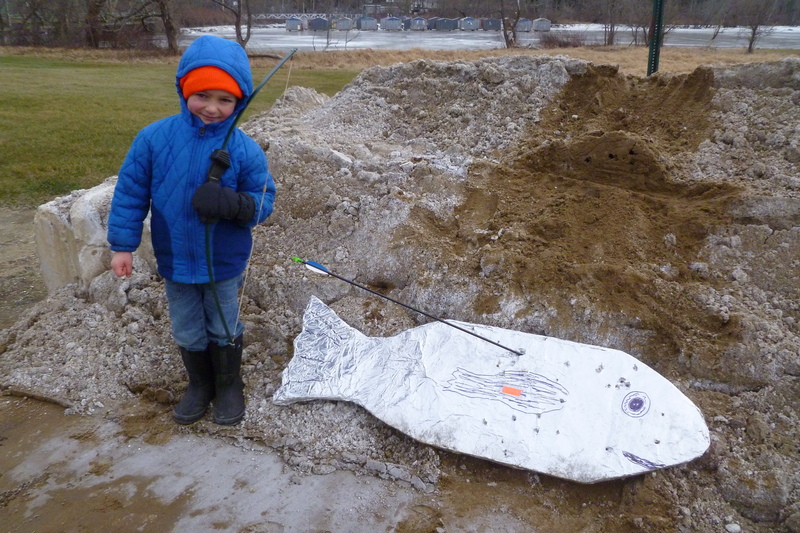 It was great to see an event like this in our small town, many thanks to Carol Dyer for braving the cold and lighting up kids eyes as they released their first arrows also thanks to the Merrymeeting Arts Center for the Smelt Festival! 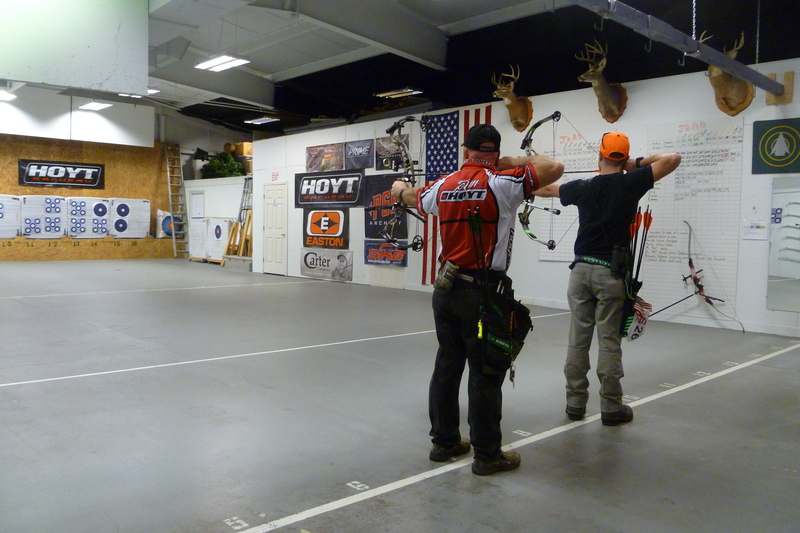 This past weekend’s shoot was at Central Maine Archery. I like shooting at their range as it is large, well set up and the owners Tom and Jess Hartford run a good shop. This shoot was a little different for me because my inlaws, Laurel my wife and my kids were coming to watch. I wondered if this would affect my shooting knowing I had an audience as I usually go on my own, I was very appreciative of them taking time out of their lives to come out and support me so I figured it’d be what it would be. My in laws George and Greta showed up first and between ends I explained what was going on, practice ends, and next would be the first scoring end. The first scoring end started and it was on like Donkey Kong (always wanted to say that). I scored fine on the first end then I heard the door open and someone else coming in, some whispered voices and I could hear a camera clicking away and I figured it had to be Laurel and the kids, and this my dear friends is the whole point of this little tale, I let my focus wander. I’ve been learning (the hard way) that when your focus is not all about the X twenty yards away that it just doesn’t go as well. This little event providing ample proof. My five arrows for that end were X, 4, 2,2,2 for a 15 out of a possible 25 per end. After this I settled myself focused on shot sequence, shut the world out and sure enough my scores went up with all my ends in the 20 + range, on the 8th end I shot a 23 with 3 X’s – X, X, X, 4, 4. Perhaps this made me feel confident as I lost my focus on the following end with a dissapointing 17. 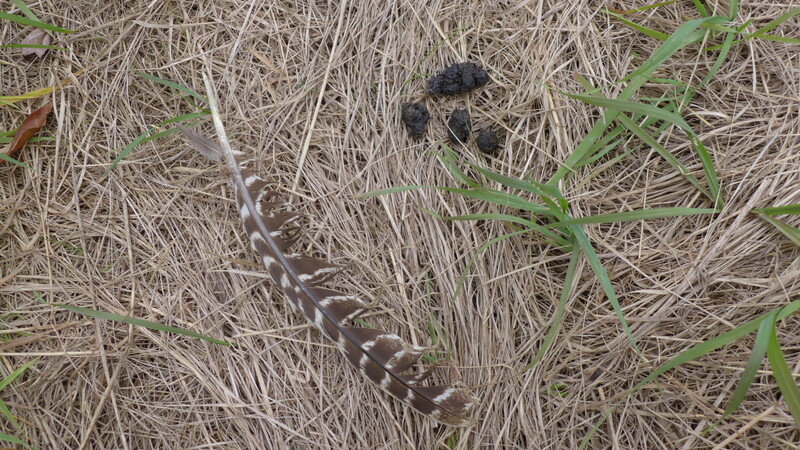 Overall this wasn’t my best shooting but it did provide a valuable lesson. Focus is just as important as any of the other components of your shot. I spend a fair amount of time practicing these components but other than to put myself in competitive situations I have spent little time practicing focus, can’t say I even know how to practice it but it is on my list. Let me know if you have found ways to improve your focus on the range. 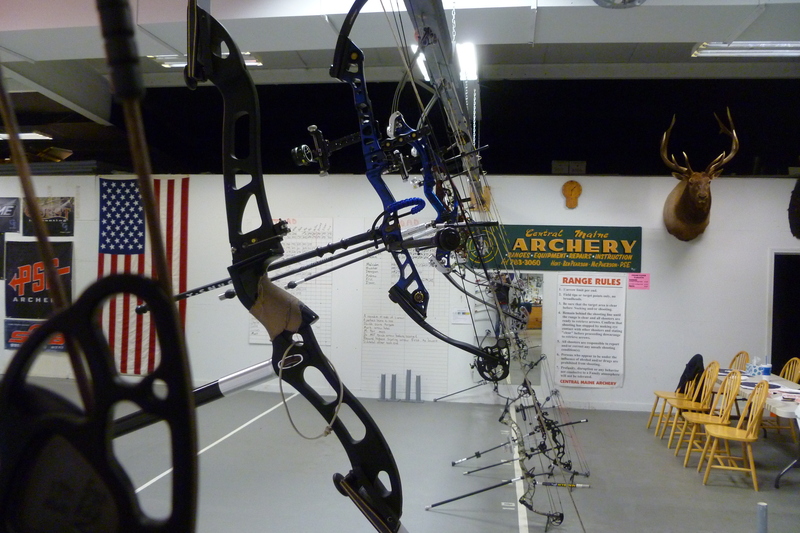 I got to the Sunday shoot at Lakeside Archery in Yarmouth, Maine early. It was snowing and nobody else had arrived yet, although it looked like someone had already been up and plowed the long driveway to the range. I stepped out and walked into the range, there was Steve Dunsmoor, the owner of Lakeside archery numbering scorecards with lane assignments. The range was neat, clean and organized, the practice targets were up and everything was ready for the day’s competition. Steve Dunsmoor owner of Lakeside Archery, scorecards in hand and ready for the upcoming shoot. 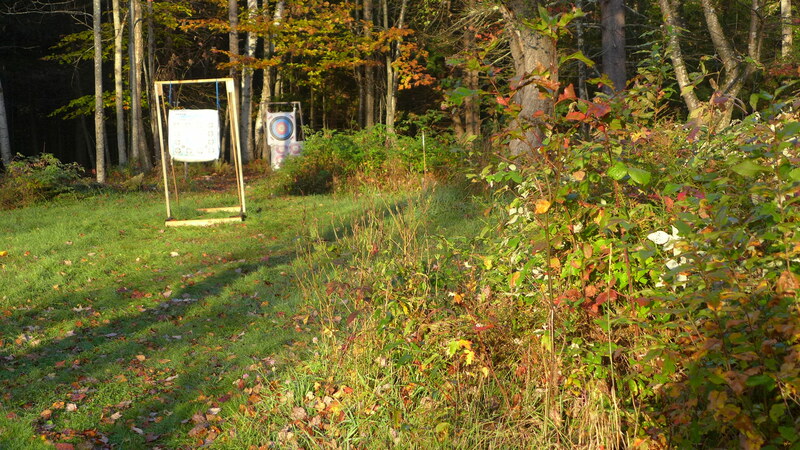 Steve is a pretty dedicated guy and provides Maine archers not only his services as a level 4 coach and proshop owner but also a heck of an archery facility. 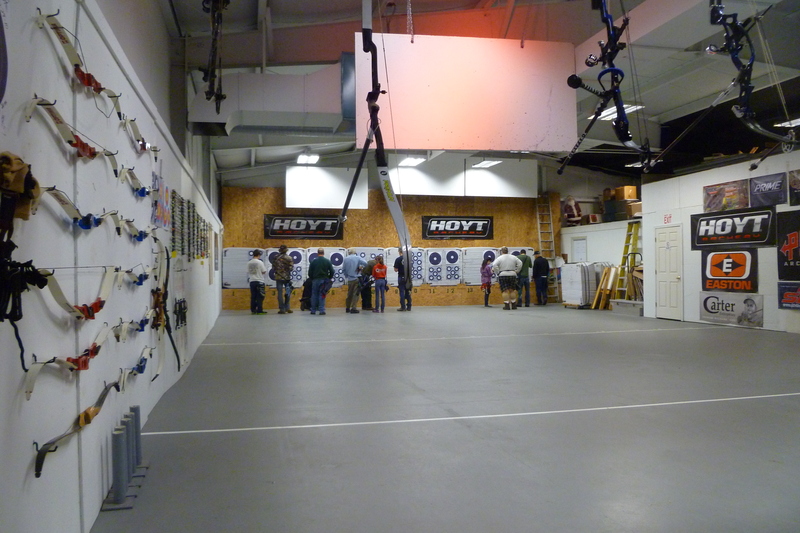 With a 16 lane indoor range, an outdoor range out to 80 yards, and a full fledged 3D and field course. There isn’t another facility like his in the state, very likely there aren’t too many in New England. 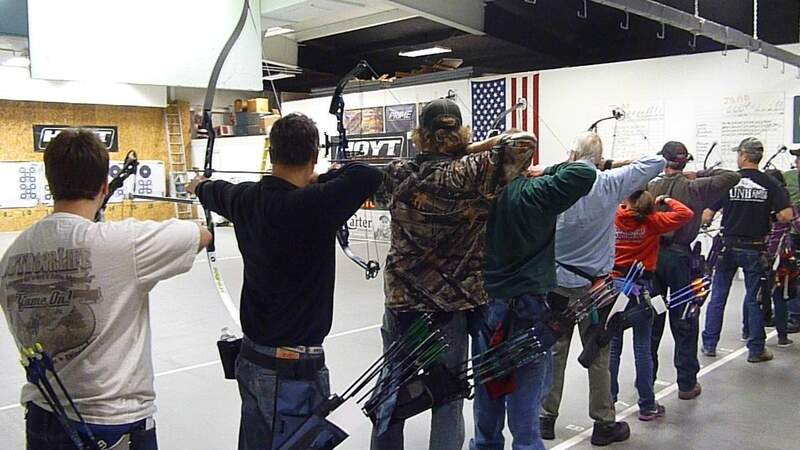 Having great facilities is not the end though, Steve also runs a very active JOAD program, league nights, hunting safety courses, is a Maine tagging station and hosts a variety of archery competitions at his facility. Did I mention how helpful Steve can be?? 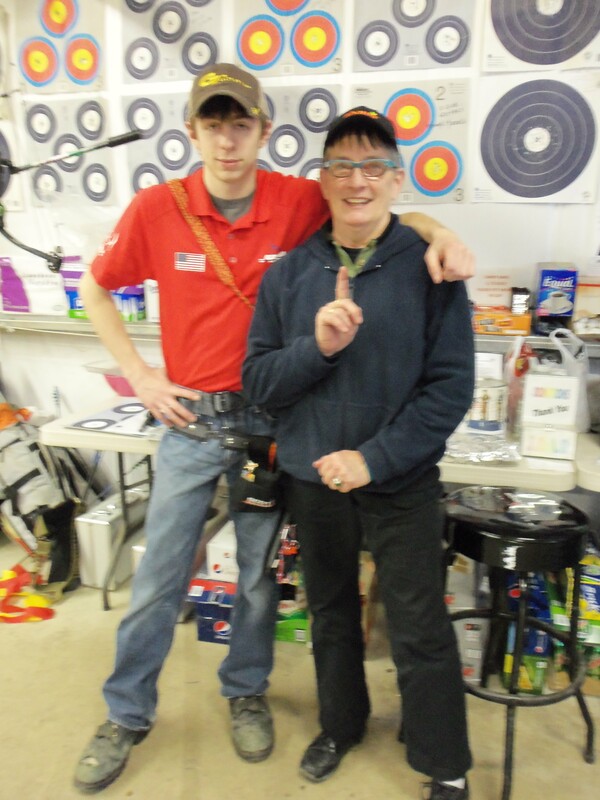 Steve always seems to have Allen wrenches in his pocket to help somebody out with, or a suggestion, kindly put, often in the form of an example or a small story that illustrates the point and leaves you a better archer. I for one have benefited from many of his golden nuggets. 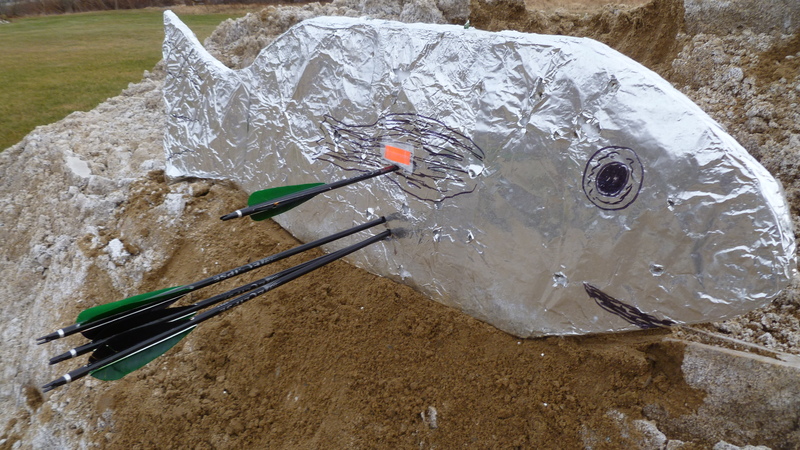 2013 2nd Annual Lakeside Archery Traditional Classic. 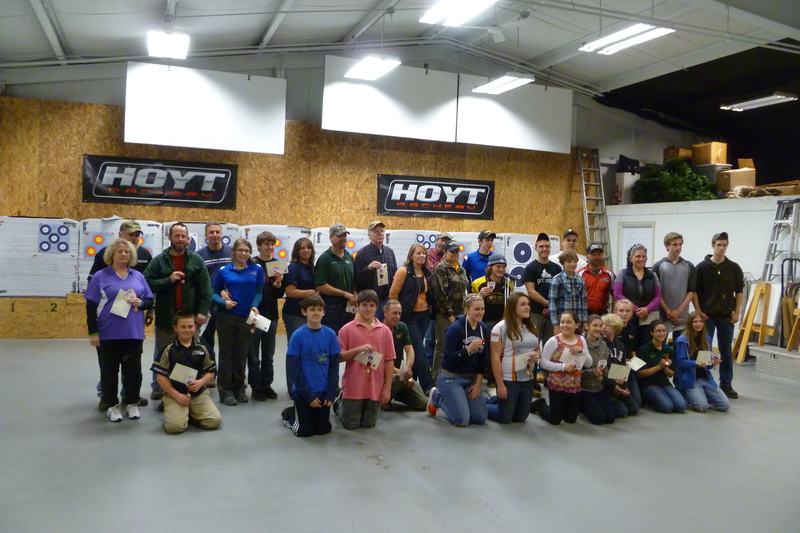 March 17, 2013 9:00AM – All you trad guys and gals this is your chance to compete! I’ll be at the Traditional Classic, I hope to see you there! So, I practice at night, day, early morning, winter, summer, inside, outside and while the inches pile up. 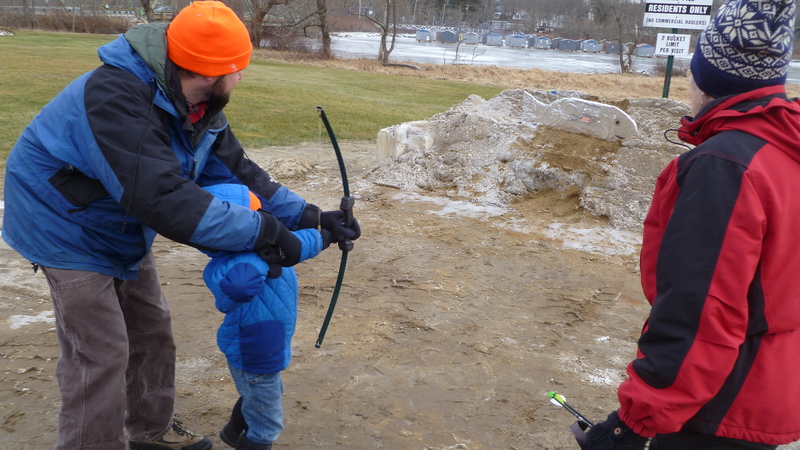 Winter archery both fills my need to be outside and satiates my, dare I say, addiction to this sport. It’s beautiful out. It is great to be out in the world hearing the sounds and seeing the sights, whether they be animal, bird life or the snowflakes accumulating on the tip of your stabilizer. How many times in our lives will we get to experience this while letting go of arrows? I get that this has the potential to be a cold and uncomfortable experience, but by stacking the cards in your favor and dressing for the event, one can be comfortable and happy outside, so, dig out that long underwear and pile on the layers, use a neck buff or scarf, insulated boots and good socks and turn a potentially miserable experience into an enjoyable one. 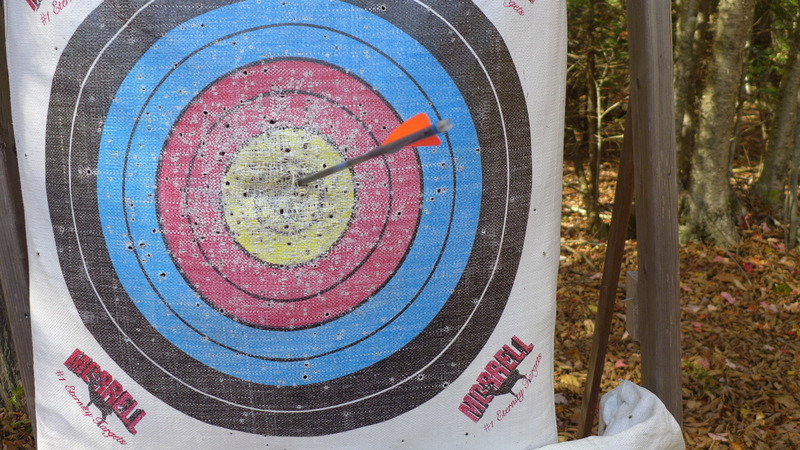 One of the minuses of shooting outside in winter for an archer is dealing with your hands. 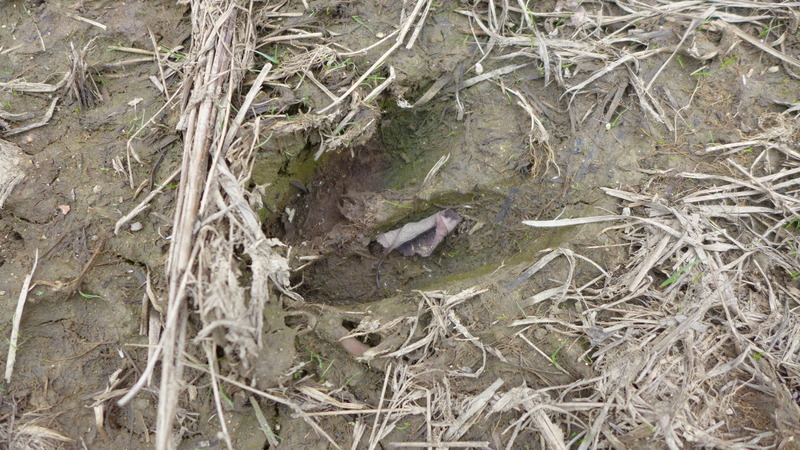 Whatever you have in contact with the string whether it is a tab or an archery glove will have an effect on arrow flight, so wearing nice, warm, insulated bulky gloves is not really an option if you are trying to pile them into the bullseye. I compromise by using thinner gloves and realize that I will be out there until my hands can’t take it and I need to go inside. They are the weak link in this winter endeavor. I use fleece gloves which aren’t as good as their insulated companions but good enough to get practice time in. For my string hand, I took an old beat up glove and cut off the middle three fingers. Then I wear a 3 finger leather Damascus archery glove beneath. This does the trick for me. I’m on a hiatus from using a tab so I haven’t tried using one over gloves, if you have, please leave me a comment with how you fared. If I am shooting a compound bow and a release I use good fitted fleece gloves (LL Bean fleece glove a size small) which work fine with the release I use. One last benefit for those of you that live in the cold climes. When it is cold, dreary and miserable out, it’s easy to make the choice of staying indoors. I don’t know about you but this sometimes leads me to cabin fever. It leaves me restless and makes me lethargic. Getting out and pounding arrows into a target or stump or whatever you’re into is invigorating and will put some pep in your step! It breaks up that winter monotony and gets your blood pumping, it also makes the coming indoors that much sweeter. Why not give it a try this winter? Bundle up, get out of the house and watch your arrows arc through the snowflakes, quietly making their way through the snowy stillness.